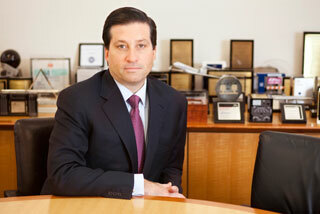 Michael is Chairman and Chief Executive Officer of Stone Key Group. Prior to founding Stone Key, Michael was a Vice Chairman of Investment Banking and Global Head of Strategic Advisory Banking at Bear, Stearns & Co. Inc. He was a Senior Managing Director of the firm, served on the Investment Banking Department Operating Committee and was a member of the firm’s Board of Directors. Michael joined Bear Stearns in 1994 after spending five years at CS First Boston as a Managing Director in the Mergers & Acquisitions Department. Prior to joining CS First Boston, Michael spent over five years at Lehman Brothers, where he was Co-Head and Co-Founder of Lehman’s Technology Mergers & Acquisitions Group. Michael is a member of the Board of Trustees of The Mount Sinai Medical School and serves as a member of both the Compensation and Information Technology Committees of The Mount Sinai Medical Center. Michael received an M.B.A. from the Stanford Graduate School of Business and an A.B. in Psychology and Social Relations from Harvard College.